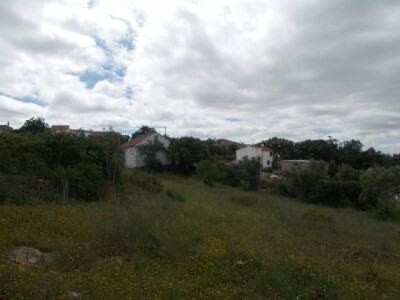 A large plot of urban land for sale close to Tomar in Central Portugal. The land, which measures 8,360 square metres, is viable for construction and is located in a quiet area though is also near a village . The land is mostly flat though also has a sligh incline and has open views over the countryside. There is no water or electricity though it is not too far away from the plot. The access to the land is via a tarmac and gravel road. Located near the village of Póvoa which has several cafes, and a small mini-market..There are some neighbouring houses in the vicinity. The larger town of Tomar is around 7 kilometres drive and is a popular town with all modern day amenities including supermarkets, shops, cafes, restaurants, wood merchants, hospital, schools, municipal sports ground and banks. The closest airport to the property is situated in Lisbon, which is around one and a half hours drive by car.